Whether from Yorkshire itself, or a town or city as far away as London, Microform has worked and liaised with a number of local authorities throughout the UK. From helping to preserve historical records and documents, through to assisting with digital transformation, local authorities turn to us due to the fact that we are used and trusted by some of the best-known brands in the UK. What’s more, our services are fully bespoke to each individual client, meaning that we can cater to the unique and individual needs of each local authority that we service. What services does Microform offer to local authorities? We know that each and every local authority, is different, which means that we offer a wide range of bespoke and tailored services to local authorities throughout the UK. Including private and confidential documents, Microform scans thousands of papers and files a day and can offer digital scans in a range of formats including, JPEGs, searchable PDFs, and TIFF format documents. From everyday correspondence, through to purchase orders, CAD drawings, journals, and newspapers, we can scan a range of materials with full data entry for document management systems. As well as offering our data archiving services to medical and academic organisations, local authorities also make great use of our data archiving services as we help them modernise through digital transformation. By undertaking the process of digital archiving, local authorities can free up vital office space, as well as operating a vastly more efficient document retrieval system. Designed for both internal and public facing use when required, Microform ensures that each and every element of a management system caters to the unique needs of a client. Why do so many authorities turn to Microform? 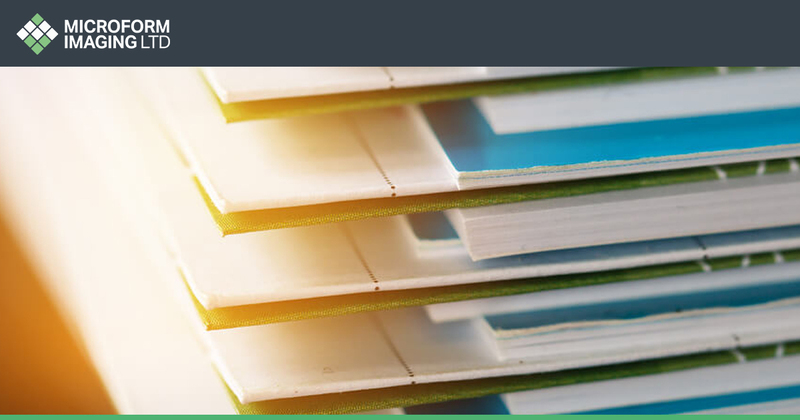 Including universities, law and financial firms, we’ve helped some of the UK’s biggest organisations with their scanning, archiving, and document management needs. Due to the fact that around 80% of the documents that pass through our doors are strictly confidential, we exercise some of the tightest and most rigorous security protocols in the industry. BS 6313:2003: Micrographics. 35 mm microfilming of serials. *BS 10008:2008 also includes data processing and relates to the authenticity and integrity of data, and we can help organisations comply with legal procedures. If you work in a local authority and your department or organisation requires document scanning, digital archiving, or cloud management services, call us on 01924 825 700 or check out our contact page. Previous Article What sectors does Microform work with?